The Big Ten released it’s conference basketball schedules on Tuesday afternoon during half-hour special on BTN. The Big Ten Tournament will not be in New York City again this season (the postseason will be back in Chicago this season), but the early conference games during the nonconference schedule are here to stay to help accommodate the new 20-game league schedule. The Big Ten will open conference play on Nov. 30, one day before the conference’s football championship game. The Huskers, however, will not play until Dec. 2 when they host Minnesota. On Dec. 5, the Huskers will travel to Illinois before diving back into nonconference play. Nebraska will begin the bulk of the Big Ten slate with a road trip in early January, traveling to Maryland on Jan. 2 and to Iowa on Jan. 6. Both teams should be improved from last season and will offer a measuring stick for where the Huskers are heading into Big Ten play. The conference slate will conclude on March 10 with the Huskers hosting Iowa on Senior Day. Leading up the that game, the Huskers will host Purdue on Feb. 23 then travel to Michigan on Feb. 28 and to Michigan State on March 5, giving the Huskers a chance at some quality wins down the stretch. Maintaining the early Big Ten games allowed the league to set up a schedule where the Huskers will not have any one-day prep games with a buffer of at least two days between every game. The Huskers also do not play any home games during the university’s holiday break. 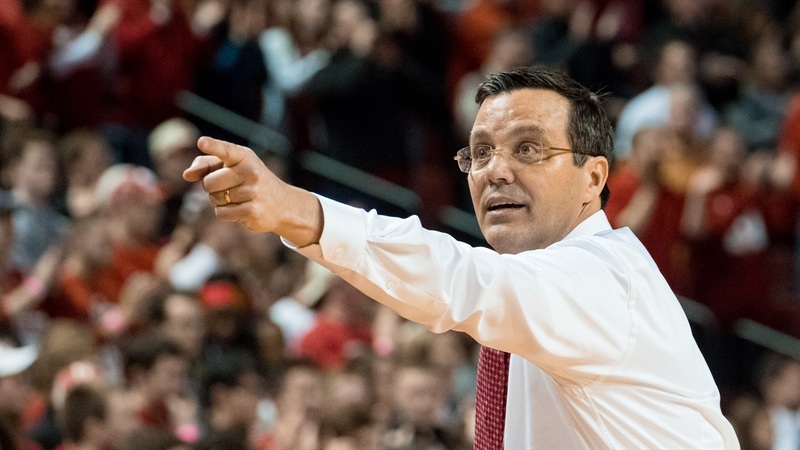 During the BTN special, analyst Shon Morris named the Huskers his “Must-See Team” in the Big Ten for 2018-19. He spoke highly of seniors James Palmer Jr. and Isaac Copeland as well as the backcourt of senior Glynn Watson Jr. and sophomore Thomas Allen, but it was his words about junior forward Isaiah Roby that stood out. “This guy’s going to be an all conference performer this season; write it down,” Morris said. The Huskers return their top four scorers from a team that finished 13-5 and in third place in Big Ten play, but in unbalanced schedule with limited opportunities against the Big Ten’s best coupled with a failure to take advantage of the opportunities they did get left the Huskers on the outside looking in at the NCAA Tournament. This season’s schedule looks to be much more balanced and the Huskers will also get a few potential resume-building games during the nonconference. Nebraska still has two nonconference slots to fill before releasing its full schedule for the 2018-19 season.